Justice Abhay Thipsay (retd) is known to be frank and forthright in his views. No matter how high profile the case might be, he has always given precedence to the rule of law. He recently criticised the discharge orders of accused in the alleged fake encounter case of Sohrabuddin Sheikh. What made it more significant was that he heard bail applications of accused in the alleged fake encounter case of Sohrabuddin Sheikh, so he was somewhat familiar with the facts of the case. But when he was asked about Judge Loya's death and the suspicions raised over it, he refused to say much. He said he would rather question what is obvious than something that is speculative. 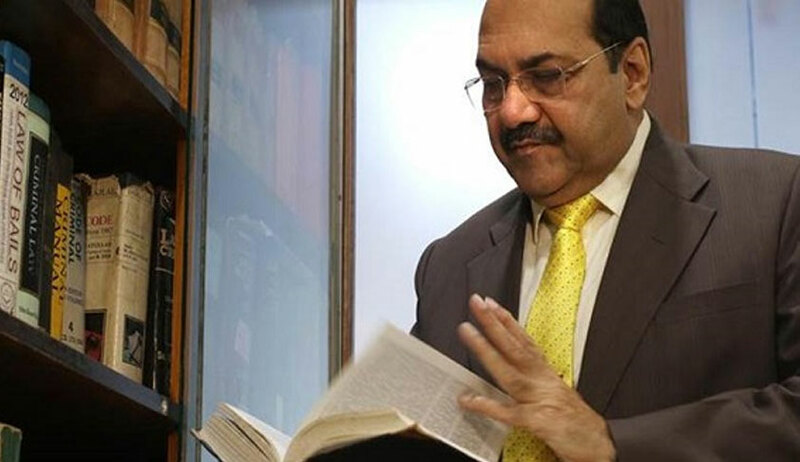 In this discussion with Livelaw, Justice Thipsay talks about the lower judiciary, elevations to higher judiciary and inconsistencies he noticed in the discharge orders passed in the Sohrabuddin case. What are your views on the Centre's refusal to accept Justice KM Joseph's elevation to the Supreme Court and the collegium system in general? Well, some solution has to be found out because the experience with the collegium system has not been great. One must not only consider appointments to the Supreme Court because appointments to the high court are equally important. Even when collegium system was there, there have been examples that good candidates were not taken and the lesser known were. Now, if members of the Bar are being elevated, there is bound to be differences in opinion, you may not like somebody but someone else might think they are good. In Bombay High Court also, I have experienced, as far as promotion from judicial service is concerned, there need not be two opinions because there is a record of judgments and orders passed by judges which are examined by high court judges. Integrity, relations with Bar, legal knowledge, all this is seen and judgments are examined. There is a guardian judge for a particular district, he sends his recommendations to a three-judge committee, then a consolidated CR is prepared and gradation is given. Selection grade is given as per certain criteria, after that there is supertime scale. At the time of elevation, what the Bombay High Court has done is to take those who are denied supertime scale, there is no justification for that! I would say this is a blatant violation, I mean you give preference to somebody who was earlier held not suitable to be granted supertime scale even. At the time of elevation, how can you choose somebody based on seniority when you gave more responsibility to those with supertime scale in the first place. In terms of eligibility to be elevated to the Supreme Court, five years as a judge in the high court is enough but it will never happen in practice. I mean A comes to the high court on a particular date, B comes thereafter, so one cannot sensibly say that A will preferred over B because B is inferior. In theory, elevations to the high court are purely on merit, judicial officers, even a magistrate can be appointed under the Constitution. So, when you have got such a wide variety of people to choose from, there should be no reason for meritorious people to get passed over. We must also accept certain human tendencies. Suppose there is a high court judge who is senior, now would he want somebody brighter him or somebody who has less experience and is not as confident. So many times, seniority is used as an excuse. But as far as the collegium system was concerned, one of the major drawbacks was that they never took any public perception of the judge into consideration. Not the general public, but the legal community, meaning if you spend time in and around courtrooms, you will find that members of the Bar, litigants have a view on every judge. They say he is good, he is fast, he is bad, whatever, it is their experience with the judge. So, is political interference the way to go? Not interference, my firm view is that judges should always be in the majority but they must also be open to addressing certain drawbacks, rise above personal preferences, likes and dislikes. There should be certain objective criteria and judges should be held accountable. On the other hand, the political executive has many ways of gathering information on probable candidates for elevation etc. They can get the opinion of the bar, academicians etc. I am not saying I have all the solutions, but at first, we must accept certain realities and only then changes can be made. Many of the great judges were given to us before the collegium system, in fact, some would say that appointments made after the collegium system came were more questionable. So, judges having the majority of the say are desirable, but not those with exclusive say. After all, these are public functionaries, their opinion on social issues also matters apart from legal knowledge. Is our lower judiciary demoralised? I should think so, at least those who are good and still do not get elevated must be demoralised. Secondly, there is a sense of inferiority developed by district judges. I am speaking out of personal experience. District judges bar newly-joined magistrates from taking a decision and try to instill a fear that if you do this, Bar will be against you, they will complain to the high court etc. Even in the judicial academy, I have heard some people telling trainees to pass safe orders. What is safe? It is to side with the stronger side, but how can you administer justice like this. On the motion for the impeachment of the CJI, do you think the allegations were substantial enough to warrant impeachment? I have not read the motion, but I think the timing to move the motion was questioned by many because of a certain order passed by the Supreme Court in a particular matter (Judge Loya petition). However, if there is any charge of corruption, then impeachment motion cannot be unjustified. Now, one has to read the motion but a change of roster cannot be a reason at all. In your opinion was it wrong for the four seniormost judges of the Supreme Court to hold a press conference? It is not my place to say whether it was wrong or right. But it was unprecedented, Justice Chelameshwar, Justice Gogoi, Justice Joseph and Justice Lokur these are very wise people. I am sure they considered everything and, in the end, decided to go ahead with the press conference. Judges of the Bombay High Court also spoke to the media, they contradicted claims that Judge Loya's death was suspicious. That is different, I think the media approached them and they chose to speak about what they knew happened. The Supreme Court dismissed the petition seeking a probe questioning the petitioner's motive. The petitioners contend that statements given by the judges of the high court were taken as gospel truth and taken in the affidavit. See one goes by probabilities. The question is whether the judges would try to protect the perpetrator knowing that one of their own was killed? I don't think so. Moreover, this is speculative as we do not have enough facts. As far as I am concerned, we are missing a more important point in this whole case (Sohrabuddin) which is that these discharge orders of the accused in the case are plainly illegal. I have noticed many inconsistencies in these orders. Same material of evidence that is held believable for a junior officer is rejected as evidence in case of a senior officer. I mean there has to be some consistency in appreciation of evidence. You have framed the charge of abduction, murder, illegal confinement believing all the facts, but you also believe that these persons (those who have been discharged) were not involved. So, a Rajasthan SP brought three other accused with him but only the three are being prosecuted not all four. Even though all four came together, is this acceptable? These orders must be subjected to greater scrutiny. That was most uncalled for when the Supreme Court has already recorded in an order that only one judge should hear the case from beginning to end, then where is the question of transferring him? I read a specious argument that the trial had not commenced until Judge Utpat was hearing the Sohrabuddin case. See trial technically commences when charges are framed, but how can that be a reason? Does that mean that Judge Utpat was brought in to grant adjournments only? It is a ridiculous argument. Sir, you were also transferred to Allahabad unexpectedly before your retirement, what would you say about that? I don't know what happened but I did feel bad. Having said that, I had a very good tenure in Allahabad, I received a very warm sendoff by the Bar. What has been the major change in the judiciary since you joined the Bar? I joined the Bar in December of 1979 and became a magistrate in 1987. You know, the atmosphere of suspicion that is there now was not there when I joined the judiciary 30 years ago. I really enjoyed my tenure as a magistrate and you know it makes more sense to have highly efficient lower judiciary because that is where the general public can go and seek justice. Now, personal allegations against judges have increased. Motives are attributed, and for the independence of the judiciary, the ability to decide without fear is very important but the fear of being defamed and targeted hampers that.